CRAYOLA-Silly Putty: Superbright. Bounce it, stretch it and snap it! 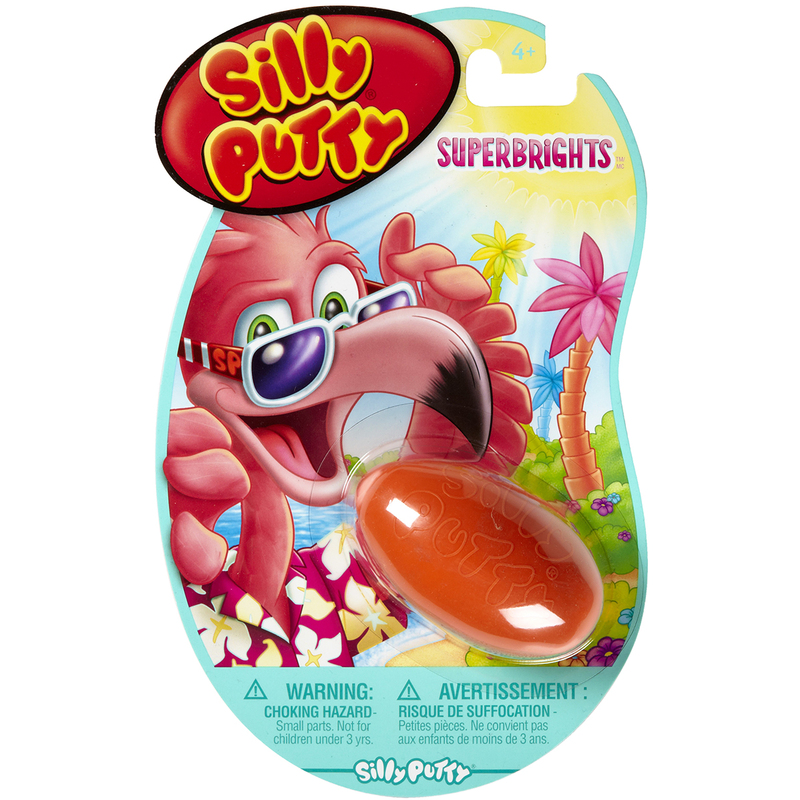 Stretch your imagination with this fun collection of silly putty! This package contains one .37 ounce of silly putty in an egg shaped container. Ages four and up. Product may stick to fabric and other household surfaces. WARNING: CHOKING HAZARD- Small Parts. Comes in a variety of colors. Each sold separately. Made in USA.